Xiaomi Redmi Note 7 was launched last week in a special program in China. Redmi has also become a dedicated brand under Xiaomi. Redmi Note 7 now has a logo on the back that says that. Redmi by Xiaomi '. Radmi note 7 goes on sale in China today. 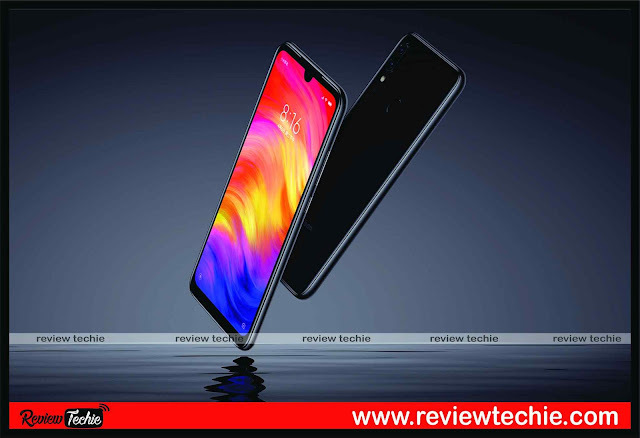 All details of Redmi Note 7, including prices, key features and features, are given here. Redmi Note 7 has been launched in China market in three variants. The base variant of 3 GB RAM and 32 GB storage starts with Yuan 999. On changing in Indian currency, it comes to about Rs 10,000. The price of 4 GB RAM and 64 GB storage version will be Yuan 1199, which is 12,000 rupees on the conversion. The highest variant of the Redmi Note 7 comes with 6GB RAM and 64GB storage and this will cost Yuan 1399 in China. On conversion this comes to Rs 14,000 plus. However, Redmi has not yet confirmed when the new Redmi Note 7 will be coming to other markets, including India. Given the Redmi Note 6 Pro just launched in India, the new Redmi Note 7 could only launch in a few months time in the country. Redmi Note 7 has 6.3 inch display, full HD + resolution. There is a small waterdrop style knock on the front for the camera in the display. This is contrary to the Redmi Note 6 Pro, which had a big foot with double front cameras. The phone also has Corning Gorilla Glass 5 on the back and forward side. Redmi Note 7’s screen comes with a slightly taller 19.5:9 aspect ratio. Pixel resolution is 2340 x 1080 at 409 PPI pixel density. The company is using an LCD display for the new Redmi Note device. But the new display with a smaller notch is not the only design change. 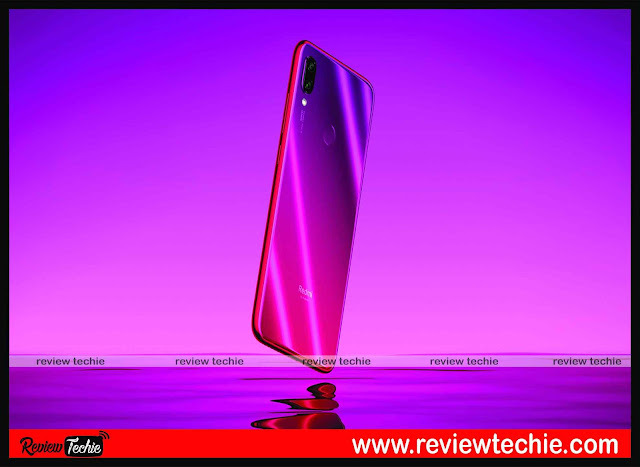 The new Redmi Note 7 also comes with a glass design in the previous part, rather than that we see the metal unibody look seen on the previous redmi phone. Color Options for Redmi Note 7 are Twilight Gold, Fantasy Blue and Bright Black. Redmi Note 7 also sports a Type-C USB port instead of the micro-USB port seen on the old phone. Redmi Note 7 comes behind the phone with a vertical stacked dual-rear camera, fingerprint scanner. There's also a headphone jack. Dimensions of Redmi Note 7 are : 159.21 x 75.21 x 8.1mm with a weight of 186 grams. The phone also is also dustproof and splashproof to some extent, though the exact rating is not mentioned on the site. 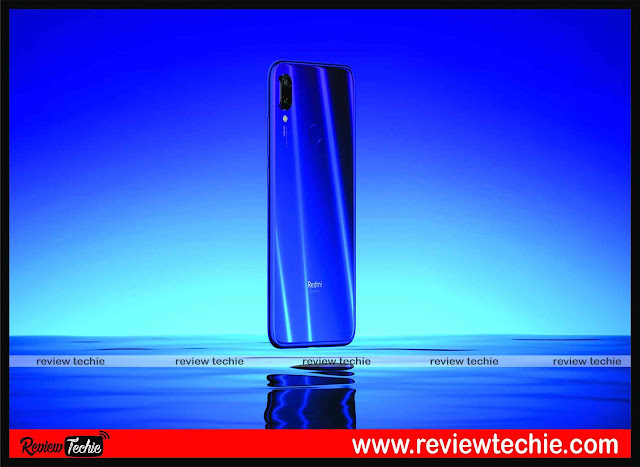 Redmi Note 7 is powered by Qualcomm Snapdragon 660 processor, which has been clocked for graphography with Adreno 512 GPU at 2.2 Ghz. It includes 3GB or 4GB or 6GB RAM with 32GB or 64GB storage, with a MicroSD slot with 256GB storage support. With the support of Qualcomm QuickChart 4.0 technology, the battery on the board is 4000 mAh. Redmi Note 7’s big highlight is the 48 rear camera coupled with a 5MP camera for depth sensing in the portrait mode. The 48MP camera is a sensor GM1 from Samsung with 1.6μm pixel size, PDAF for focus and f/ 1.8 aperture. The front camera is 13MP with AI features and Portrait mode as well. The rear camera will also get a Super Night scene as part of the OTA upgrade. The camera of Redmi Note 7 includes Portrait Mode, Background Blur, Monochrome Dual Flash, Standard and Auto HDR, Electronic Image Stabilization (EIS) for Video, Continuous Mode, Panorama Mode and Face Recognition. The camera can record up to 1080p at 60fps / 30fps. Slo-motion video can be recorded at maximum 1080p up to 120fps. Redmi is also offering 18 months warranty with Redmi Note 7 in China.